SMTP Creds (Mailgun, Sendgrid) or any service will work! A wildcard SSL cert (we'll show you how to create a free 90 day cert in this guide)! NOTE - If you work with multiple Kubernetes environments, kubectx is an incredibly useful tool for quickly switching between Kubernetes clusters. Learn more here. You'll probably want to use 3 6CPU 16GB of memory nodes. You can read more about our resource requirements here! Now that you have your cluster up, navigate to it and download the kubeconfig file associated with it. You can either add this file to your .kube/config or you can refer to it explicility when you run your kubectl commands. For the rest of this guide, we will refer to it specifically. Helm is a package manager for Kubernetes. 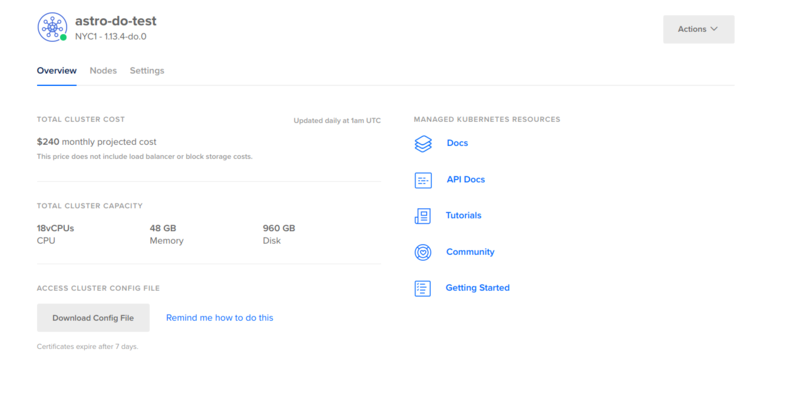 It allows you to easily deploy complex Kubernetes applications. You'll use helm to install and manage the Astronomer platform. Learn more about helm here. Create a namespace to host the core Astronomer Platform. If you are running through a standard installation, each Airflow deployment you provision will be created in a seperate namespace that our platform will provision for you, this initial namespace will just contain the core Astronomer platform. 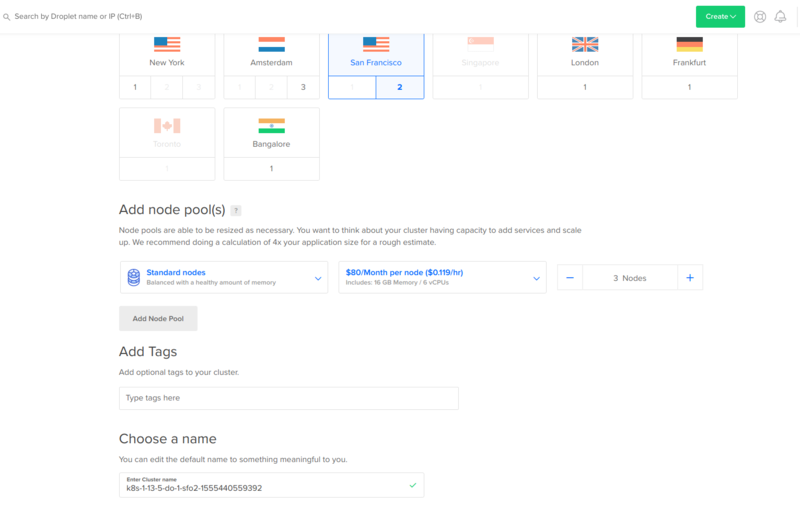 To serve as the backend-db for Airflow and our API, you'll need a running Postgres instance that will be able to talk to your Kubernetes cluster. We recommend using a dedicated Postgres since Airflow will create a new database inside of that Postgres for each Airflow deployment. We recommend you deploy a PostgreSQL database through a cloud provider database service like Google Cloud SQL or DO databases. This will require the full connection string for a user that has the ability to create, delete, and updated databases and users. Purchase a wildcard SSL certificate from your preferred vendor. Obtain a free 90-day wildcard certificate from Let's Encrypt. Follow the on-screen prompts and create a TXT record through your DNS provider. Wait a few minutes before continuing in your terminal. You'll need to create two Kubernetes secrets - one for the databases to be created and one for TLS. Now that your Kubernetes cluster has been configured with all prerequisites, you can deploy Astronomer! Now you'll need to find the LoadBalancer IP that was created when you deployed the cluster. Create an A record through your DNS provider for *.astro.mydomain.com using your previously created static IP address. Go to app.BASEDOMAIN to see the Astronomer UI!